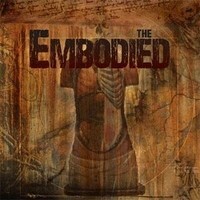 THE EMBODIED are a five piece Heavy Metal band from Sweden, and they certainly know how to make a first impression. Their self titled debut album will grab on to you and won’t let go. Every minute of this is pure Metal. It’s delightfully heavy, the solos are fantastic, and the vocals are powerful and impassioned. Every song offers the listener something different in terms of riffs, hooks and lyrics but the one thing they all have in common is that they are the perfect example of what Heavy Metal should sound like. From the very first note of “As I Speak”, I knew I was in for a treat. The opening guitar work of high school friends Jonathon Mortensen, Chris Melin and Agust Ahlberg hooked me right away, and it only got better from there. Marcus Thorell’s vocals are perfect for Metal, and perfect for the lyrics they have written. He has a very powerful voice, and clear vocals, every word making an impact. As a drummer, Axel Janossy is extremely good technically, and completes the brilliant package that is THE EMBODIED. I would be very hard pressed to choose a stand out track, as every song has many strengths including all the great solos which are present. Even the short “Prometheus Flame”, which serves as a 41 second intro to “Northern Lights”,keeps the listener interested in the album, despite not even featuring a guitar until a couple of seconds at the end as it transitions to the next track. The album’s closer – “Light Up The Storm” – is yet another brilliant track, and ensures that this self titled effort ends with a bang. Suffice to say, there is not one disappointing track out of the 10. There’s not a whole lot left to say about this album that I haven’t already said. This will blast into your life and leave a lasting impression. It has a very classic Metal vibe about it, so if you like your 70s and 80s Metal, I am certain you’ll love this. I very much look forward to hearing more from this band, especially if they have started as they mean to go on.